"Seal The Tomb Below", a brand new song from Florida death metal veterans DEICIDE, has been released via Spotify and can be streamed below. 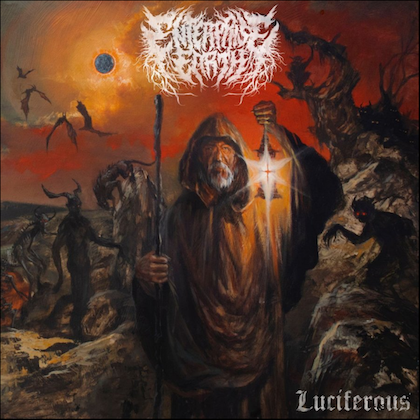 The track is taken from the band's long-awaited new album, "Overtures Of Blasphemy", which will be released on September 14 via Century Media. The follow-up to 2013's "In The Minds Of Evil" was produced by Jason Suecof (THE BLACK DAHLIA MURDER, TRIVIUM) at AudioHammer Studios in Sanford, Florida. 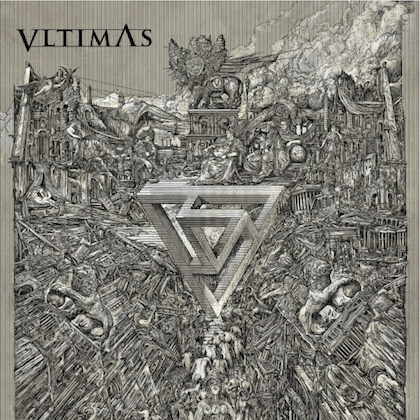 The cover artwork was created by Zbigniew M. Bielak (GHOST, PARADISE LOST, MAYHEM) and can be seen below. After 30 years, it's plausible to think DEICIDE would want to slow down and soften the message. None of that is happening on "Overtures Of Blasphemy". 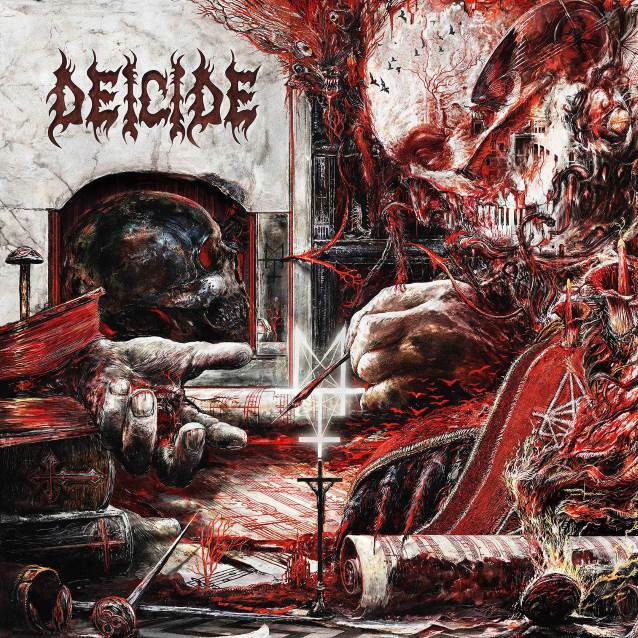 In fact, DEICIDE, with head demon Glen Benton and co-conspirator Steve Asheim at the helm, is only becoming darker, heavier, and more extreme. "I originally thought that, the older I got, the more mellow I'd get," says Benton. "That's not the case. I would say I'm darker now than I ever was. What I've been through over the years has definitely darkened my heart and soul." Lyrically, "Overtures Of Blasphemy" continues DEICIDE's crusade against, not just Christianity, but all religions. Benton says: "The lyrics also dig deep into my own personal darkness. It's what I am. Death metal is what I do." Benton states: "This album came together over time, meaning we didn't want to rush it. "A few people might remember an interview where Steve Asheim (original member, drummer/songwriter) said 'the material is done, but it's just not there yet.' Well, that was the jumping off point of when this album truly started taking shape and the songs became what they are now...complete, compact and effective. As the band pushed forward, so did the writing process and a few other processes which made the record and the band stronger. 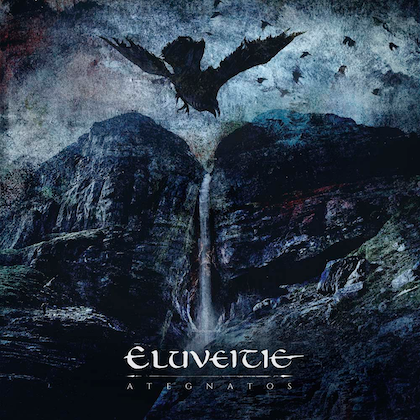 The result is 'Overtures Of Blasphemy', perhaps the group’s strongest release to date. "Jason Suecof lended his considerable talents and attention to detail in making the tracking of the songs as great as they can be and the final mix as sonically brutal, yet as listenable as possible. An arduous process, but one well worth the time and effort." Bielak states: "If you experienced the death metal boom of the early '90s first hand, you know why DEICIDE's flaming logo was the ultimate threat in the sanity department. "Working with Glen Benton was a great honor and a throwback to the time when death metal aesthetics were at their vilest. "Satan Spawn the Caco Deamon is alive and well." 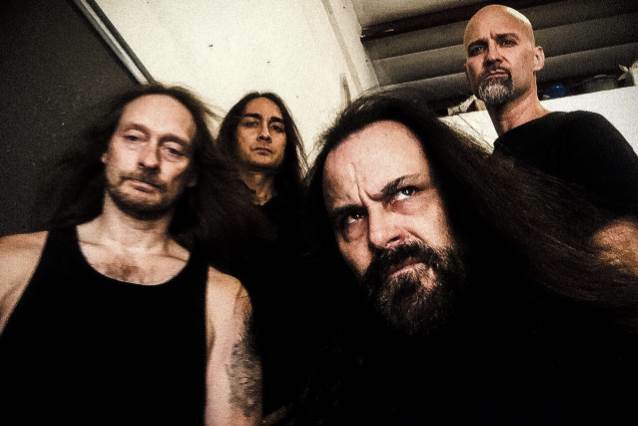 DEICIDE in 2016 parted ways with longtime guitarist Jack Owen and replaced him with Mark English (MONSTROSITY).